Can you see all of the pink polka dot goodness? I am totally in love with my new blog name and my beautiful poppin new look! I will miss my old blog name (Faithful in First) because it was my first go at blogging and we had many good years together. Then my grade level changed last year...and again this year... which meant I wasn't too faithful to first, was I, lol. I remember someone saying that when you choose your blog name, try to stick to something that will follow you for a lifetime, so I chose my two favorite things: Pink and Polka Dots, and the new blog name was born. So farewell Faithful in First, you were so good to me. It's where I met all of the blogging greats! It is also where I started following Christi Fultz and fell in love with her awesomeness! Christi was the first person I shared my new blog name with and she verified that is was the perfect fit for me and my mission. Her blog design process was pain free and she was oh so helpful and understanding! It was as if she knew me all along and was able to pinpoint exactly what I wanted, even when I didn't know what I wanted! I decided to get all matchy matchy and now my FB page and business cards match my blog design. I am in pink polka dot heaven! 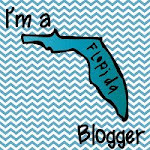 So, if you are in the market for a new blog or anything else that you want to update, please head on over to my new blogging bestie, Christi, and check out her Design by Christi page! With a new school year fast approaching, I know many of us are in preparation mode. To celebrate my new name, my new look, and the new school year, I want to share one of my favorite products with you for free. It will be free all day today and will go back to being only $1.00 tomorrow. 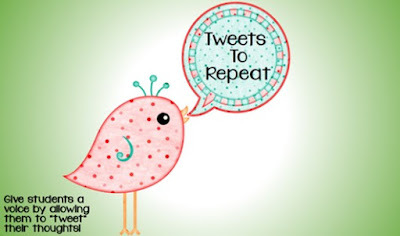 This is my "Tweets to Repeat" board. They work like exit slips. Students fill out the speech bubbles using 130 characters or less to tell about something that you have chosen for them to tell. It helps students summarize and stay on point, and it also helps you see if they got it! Students also love the social media aspect. I keep the "tweets" up all year so students can see how much they learned. Once you download, please leave feedback. Thanks for following and I look forward to a great school year with great students!